Join like-minded Christian women for a relationship building experience at the beautiful and tranquil Dahlonega Spa Resort located in the Blue Ridge Mountains. It is time to connect with women in Christ to support each other in our personal and professional growth. Stronger Together is a team building retreat centered on working together to encourage each other’s goals with a focus on developing Mind, Body & Faith. 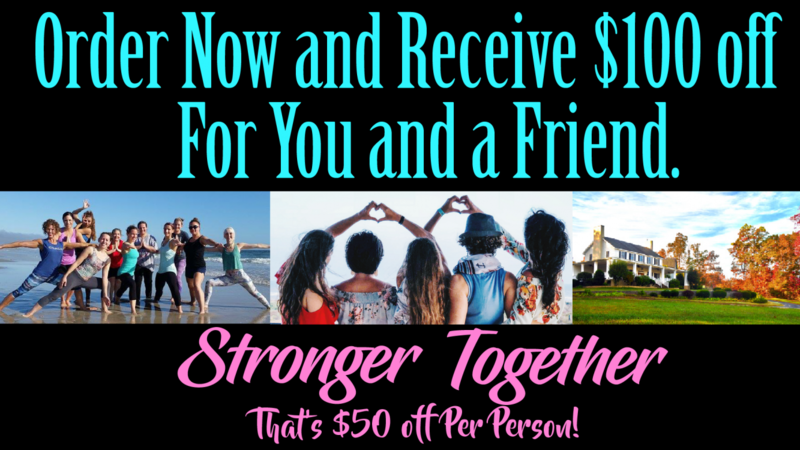 Stronger Together is hosted by Fitness Coach GG Mack and Psychotherapist Glenda Grimsley. This mother-daughter team worked thoughtfully to create a fulfilling and meaningful retreat experience to assist in your personal and spiritual growth as it relates to building a stronger and more successful community of Christian women by networking and inspiring your entrepreneurship spirit. Even if you are not looking to grow in your business, or are retired and want to make a meaningful bond with other like-minded women, please feel welcome. Success is greatly enriched by a variety of wisdom. We can all learn from each other. GG is a Fitness Coach with over 20 years in the fitness industry. She has a passion for the Lord, guiding others to live a healthy lifestyle, and inspiring women to make a living doing what they love. GG will be teaching a variety of fitness classes and Christian yoga. Since this is a team building event through a personal development movement, bring a friend. There are group discounts available to groups of 2 or more. This is an excellent time for moms and daughters to build a stronger connection, friends to grow together, and new relationships to begin. Final day to sign up: September 30th. FREE – Faith, Health & Mind Guided Journaling Book upon arrival. Pick Your Room at Dahlonega Spa Resort. Check the rooms out by clicking on this link. 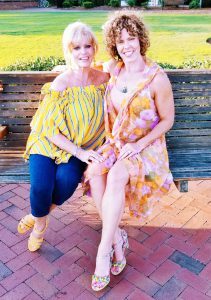 We also invite you to sign up for additional spa treatments, private counseling sessions, hiking, paddle board, yoga, shopping in the cute town of Dahlonega, soak in the jacuzzi, or maybe just reading on the porch! We all have to work together in order to reach our potential. By establishing a network of like-minded women, we can achieve what once seemed impossible. We start by building relationships that increase our faith, reach, and impact.